Buying Ethereum with PayPal is an attractive option for the buyers facing banking restrictions in their countries of residence. At the same time, this is a convenient alternative to banks whose transaction or conversion fees are considered too high for one’s taste or pocket. There are few quick legit ways how to buy Ethereum with PayPal. The easiest way to buy Ethereum with PayPal is by using the eToro platform. Although it is primarily a CFD’s trading platform, you can also buy, hold, and send cryptocurrencies using eToro wallet. Aside from Ethereum, you can also use PayPal to buy Bitcoin, Bitcoin Cash, Litecoin, Dash, and Ripple cryptocurrencies. The platform itself is super easy to use and is often regarded as one of the best places for beginning investors. The minimum deposit starts from $200. In 2019, eToro is planning to release support for more coins and enter the US market, too. You can read our full eToro review here. Another option is to visit LocalEthereum as an informal exchange platform on which you can find and get in touch with people who sell ether in various areas. Depending on their preferences, they may accept PayPal payment from you. LocalEthereum operates as a website which connects you with people who want to sell Ethereum in your local area or worldwide. It is like “eBay of Ethereum.” Depending on how thorough you are in your search, sooner or later you will find someone willing to accept PayPal payments. If you want to buy ETH with PayPal in this manner, you should pay attention to any aspect of a transaction in advance, as you alone will bear the risk of dealing with scammers. Some of them may claim that they never received your payment, so go for reputable traders only. Make sure you check their terms of trade and try to learn as much about them as possible before clicking on a payment button. 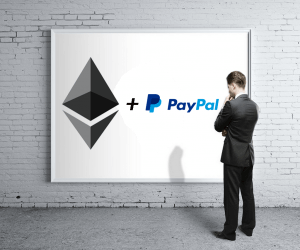 These are the most convenient ways to purchase Ethereum with PayPal. If you want to learn more about how to buy other cryptocurrencies, see our “How to get altcoins” guide.